Chances are, they are already interested. Music is everywhere in our culture, and the options for listening to it and participating in it are broader and more convenient than ever. If you’ve ever experienced a two year old blurting out a commercial jingle out of nowhere, you’ve seen the power music can have on a listener. The power, and the rewards, for a child who wants to make his or her own music, can last a lifetime. The benefits of learning and studying music, whether formally or informally, go far beyond knowing what the notes are and where they go. Studies have shown that involvement in music impacts the most important skills a child needs to succeed in school and in life. Music is a good investment in a child’s life that pays benefits in adulthood through imagination, creativity, critical thinking, analytical thinking, comprehension of systems, personal expression, to achievement. 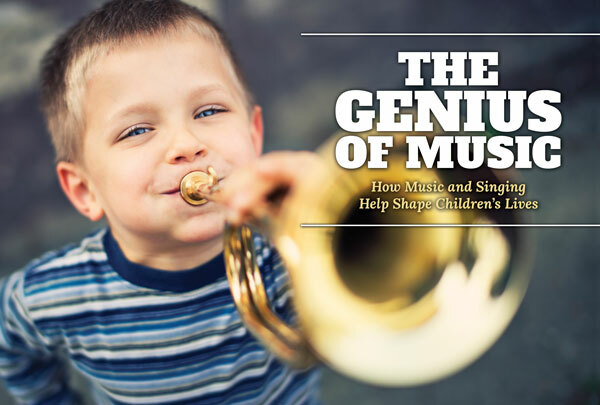 Studying music improves a child’s attentiveness, even at young ages. 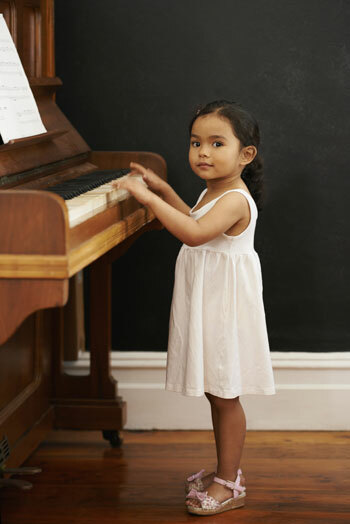 The initial fascination with an instrument or the child’s own voice lingers, and each little improvement is a reward that encourages the child to pay even closer attention to building on the basics. In a formal environment, paying close attention to the teacher or director is crucial to making a rehearsal or performance the best it can be. This attention takes place in a group, building individual skills into a disciplined whole, not unlike a sports team. A child who increases his or her attention span through music is better able to pay closer attention to academics, activities, and the world in general. Music also strengthens a child’s sense of determination. As a percussionist, I often tell customers and students that it’s easy to get a sound out of a drum, but it takes years to master the techniques and craft necessary to really make music with the instruments. Every child who studies music has to deal with the same basics – scale patterns, rudiments, chord formations – and it takes a bit of a stubborn streak to practice these basics over and over again before playing an entire song or making up tunes of one’s own. But that stubbornness pays off. As a child continues learning, playing that song or writing an original one is the ultimate reward. And each reward leads to another, and another. A violinist progresses from “Mary Had a Little Lamb” to Vivaldi violin concertos; a singer moves from simple songs to more advanced, complex melodies and harmonies; even a drummer who starts with a “Mommy-Daddy” roll can eventually play dense, complicated rhythms. Children who grow up with music learn not to give up when life gets a little more difficult; they discover how to celebrate the little steps that lead to a final outcome. They know that hard work gets results, and they incorporate that work ethic into all other aspects of their lives. The development of creativity fosters growth in two of the most important life skills anyone can learn – problem solving and critical thinking. A young musician learns to “think outside the box” by coming up with creative solutions to problems. My own development as a percussionist taught me to use objects that aren’t considered instruments – cans, boxes, buckets, and other “junk” – to create music. I have applied the same ingenuity to my writing and my work and home lives. The simplest solution isn’t always the best one; a little examination and improvisation can result in solutions that work better, and music encourages that kind of thinking. Creativity comes in handy in real-life, especially in turbulent times. Musical children tend to develop good study habits. 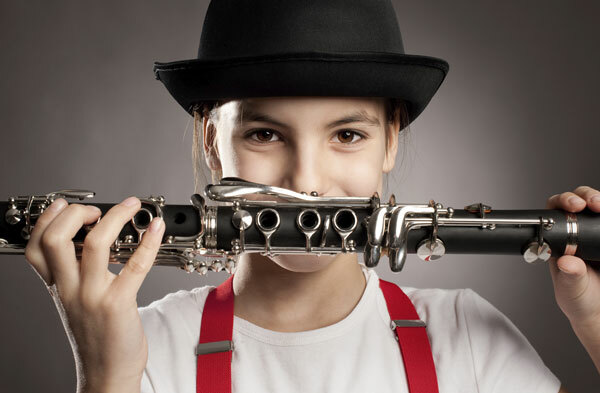 The same discipline it takes to learn to play an instrument or to sing, either solo or with others, can easily be applied to other academic subjects. The need to improve, coupled with appreciating little rewards when they come, teaches a child to do the work necessary to earn the rewards of grades, knowledge, and academic accomplishment. Of course, a good student has a much better chance of navigating the “grades” of the world outside school. Studying music builds good habits that children carry with them into adult life. What’s more, music reinforces other academic subjects. Music is based in math; children who study music tend to score better on math tests and understand how numbers relate to the practicalities of life. Reading music is different than reading a book, but young musicians have higher reading comprehension rates, probably because reading requires the same concentration and analytical skills. 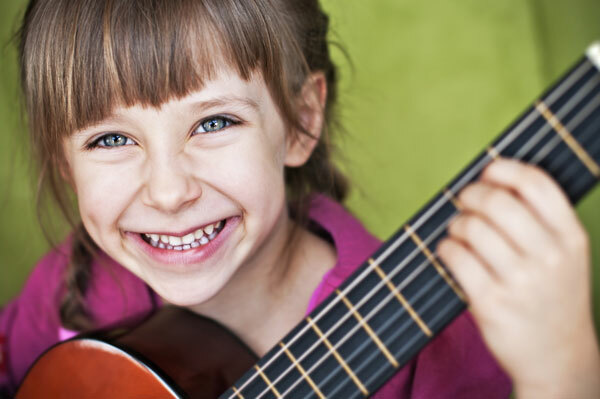 Music has been shown to raise children’s self-esteem by giving them a sense of accomplishment. It’s not easy to learn a piece of music — paying attention to not only the notes, but also dynamics, interpretation, and style. When a guitarist masters a piece of music, he or she has put all the pieces together. When a marching band learns a show (not only playing, but marching), the members of the band have developed a performance for an eager crowd. When a musician writes an original piece of music, he or she has expressed emotions and ideas that matter. Being a musician isn’t all about reward. Part of the journey is recognizing mistakes and correcting them, which is its own form of accomplishment. Understanding the ups and downs of performing enables a child to understand ups and downs in other aspects of life. A healthier self-esteem does not come from praise alone, but from acceptance of the bad things that are part of the process to achieve the final result. Encouraging children to study music gives them far more than something to make noise with (although it does give them that); it introduces them to a world of creativity and understanding that enables them to be better people, and to benefit from the advantages that studying music provides, from preschool to college and beyond. Jeff Kersh, has a PhD in English, and is a published poet and author, a musician, a music teacher, and a father.